Community Caring Council is hosting its 2nd Annual Fire & Ice event! This year, experience a murder mystery dinner and ball right out of New Orleans! Enjoy the sounds of the Dixieland Swamp Rats while checking in and waiting for your meal. 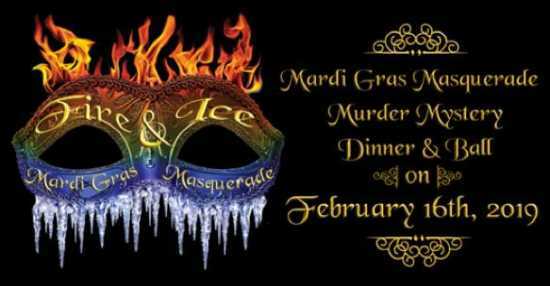 During dinner the Murder Mystery Co of Nashville, TN will present Mardi Gras Masquerade Murder in NOLA. Dance the night away with Juice Box Entertainment. Tickets are only $50 a person/$95 a couple. What a great valentine day date! Bring a group and share the fun!!! Tables are $375. Call Dwana Leible, Event Coordinator, at 573-837-8972, for tickets. Or you can simply text murderymystery to 41444 and purchase online! All proceeds will help our neighbors in need with heating assistance.